I’ve just been intently perusing your website and reading your very informative history pieces and casually wondering if I actually know or have met any of the present day relatives of the people pictured here. I live in Gollawater and been here now for 28years and I have only seen the name of this little village spelt as CALLESTICK. 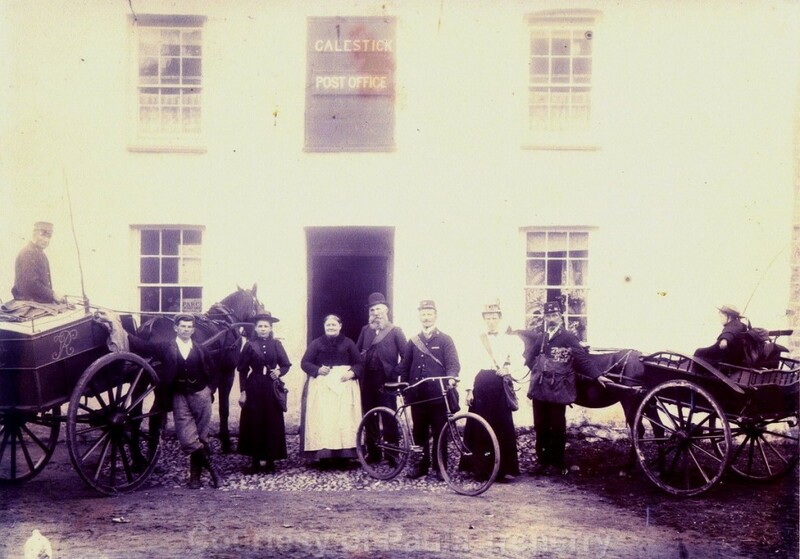 I noticed on the photo of the “Original Post Office – Circa 1898” supplied by Paula Trenary, that the spelling of this village is CALESTICK with only one “L”. I was wondering if this was just an oversight by the signwriter or if this is infact the original spelling and when and why it changed.